We leave one week from today. Amidst all our other preparations, I pulled out one of the guidebooks today to see what it had to share, and have begun to get a bit of an overview of the different segments of the city. It looks absolutely amazing! Our housing still is not nailed down, believe it or not. Somehow this doesn’t bother either of us a bit. I guess maybe because we aren’t the ones arranging it (and if it’s not finalized by the time we arrive, the company will pay for a hotel for us which is ok by me), plus it will be furnished so there is basically nothing for me to worry about until I get there. We’ll have to get settled, but we can’t do that until we’re there whether it’s finalized tomorrow or a month ago. Last week, Daniel’s boss Melinda thought she had a great place, located in the CBD (Central Business District, in the heart of downtown Sydney). We got excited because it appeals to both of us to live in the heart of a big city for a time, to see how we like it. I found out today that it would have been in the part of town where locals spend the most time hanging out, including the Spanish Quarter, Chinatown and Capitol Theatre. Bummer! That would have been a fun place to live, but it fell through. On the other hand, that self-proclaimed “one-bedroom apartment” turned out to be a studio! Good thing Melinda had a connection who could look at the place in person. And the owner wasn’t wild about a child living there. If she was that reluctant about a generically mentioned “child,” I’d hate to break it to her that we have an active toddler! Not really a great fit for us (not that beggars can be choosers, since Sydney is one of the toughest places in the world to find a home). Instead, the apartment it looks like we’re going to get has 2 bedrooms which is far beyond our expectations! At first Melinda had talked about finding us a 1-bedroom or studio (with a one-year-old and a husband working from home the studio was completely not an option for us; 1-bed would have been an adjustment but fine). So this is fantastic! 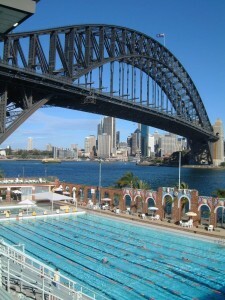 However, it isn’t in downtown Sydney, but is across the harbor on the north side of the Harbor Bridge. I just noticed in the “tidbits” section that this is said to be one of the best places to live in Sydney, but it’s a nightmare trying to get into the city – at least at rush hour. And Google Maps says it would take about 30-40 minutes to walk into the edge of Sydney (that is, if one is even able to go on foot on the bridge). So yeah, not so good for getting to all those fun things to do in downtown. Ok, back to the map of the neighborhood around our potential home. “Church by the Bridge – 5 min walk.” Hm. Church by the Bridge? An additional click tells me this is St. John’s Anglican Church. Are you serious? (We’re Anglican, if you didn’t know. So this is potentially a really good thing.) As far as I can tell from the website, this church looks vibrant and biblical. Maybe more of an evangelical flavor and feel than we’ve become used to, but that’s not necessarily what matters most to us. We’ll visit it in person to see if it really is a place we could feel at home, but I’m actually crying right now, hit by how tenderly God seems to be preparing a place for us. Our #1 prayer request was for a good church, since being somewhere for 3 months isn’t really long enough to establish meaningful relationships, and I’m especially wanting some friends for Naomi to play with (and moms for me to connect with) since that will be my full-time occupation while we’re there. It looks like the church has multiple services (because it has grown so much after starting with only 40 people 6 years ago! ), which vary from a contemporary Saturday night service, to a “families w/ kids especially welcome” service, to a traditional prayer book/Eucharist/hymns service. Ok, next thing. 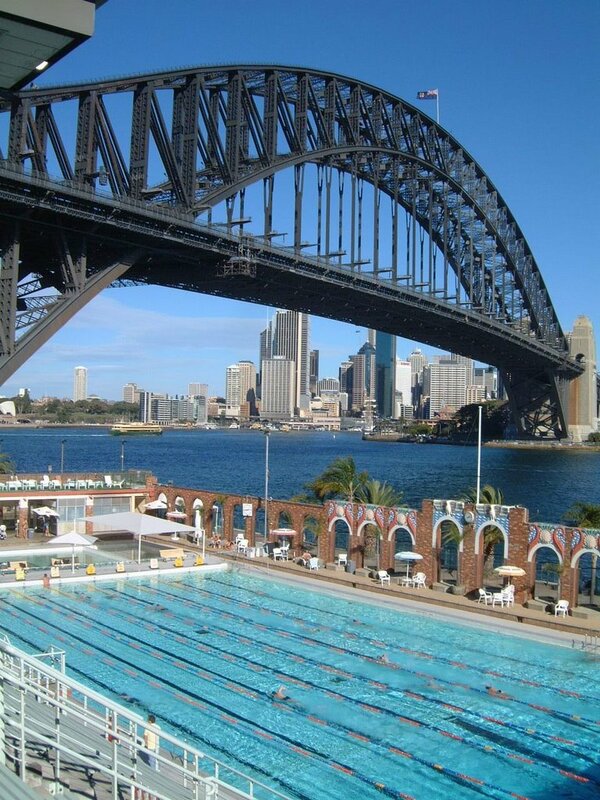 Right next to the North Sydney pool is Luna Park, the famous amusement park, where entry is now free. Seems like a cool place to walk around. Milson Park (grassy area with playground) is a 10-min walk to the north. Nice.